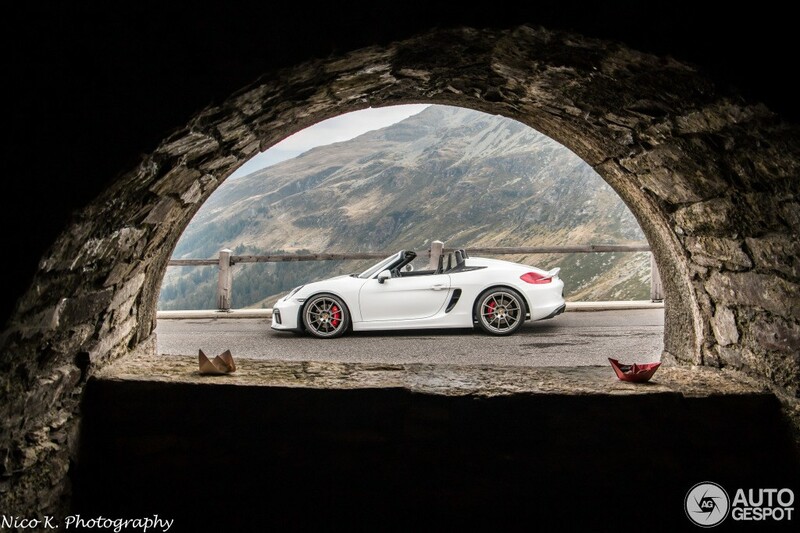 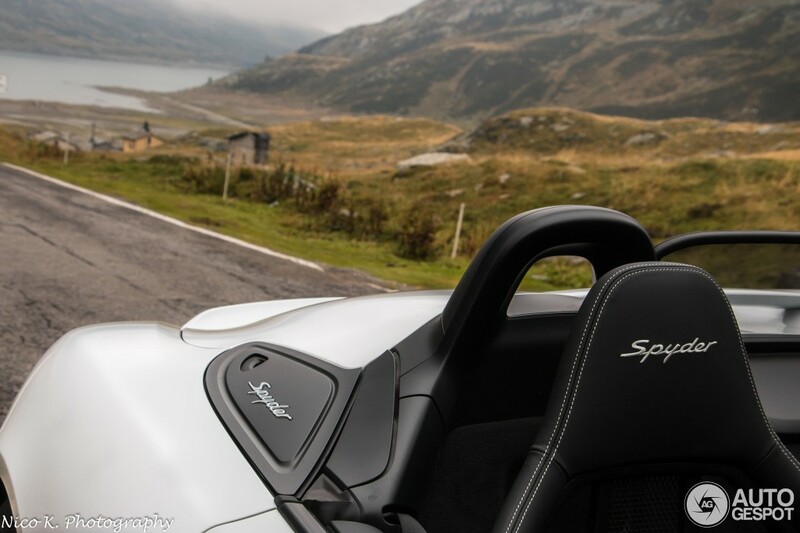 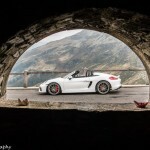 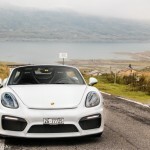 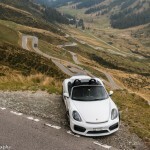 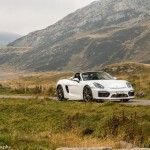 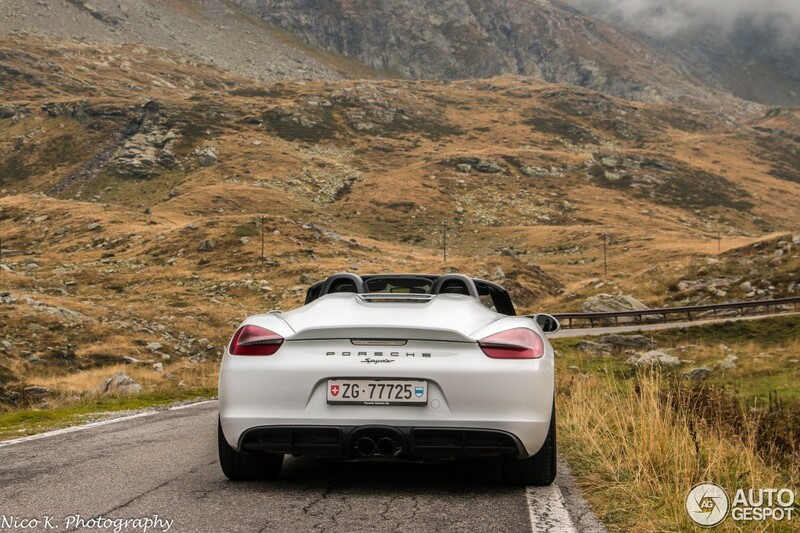 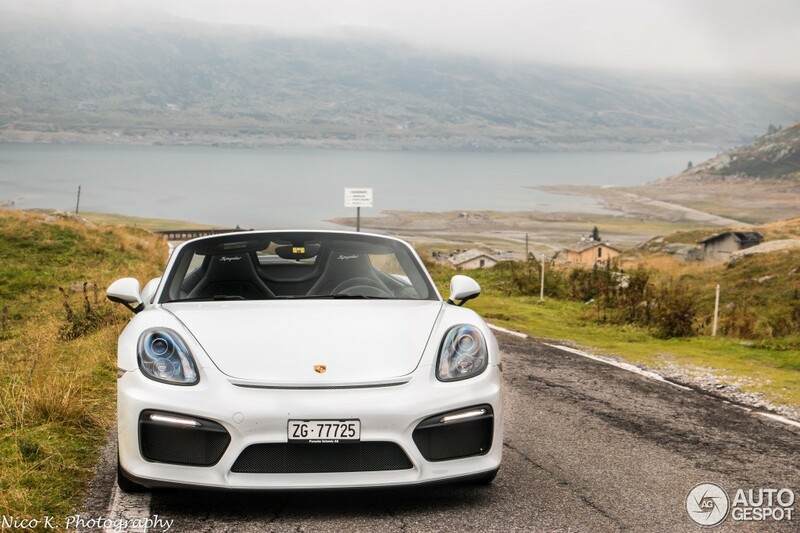 The newly released Porsche Boxster`s Spyder soft top version at the 2015 New York Auto Show, has been recently the subject of a short photo session carried out in Switzerland, in the Splugenpass. 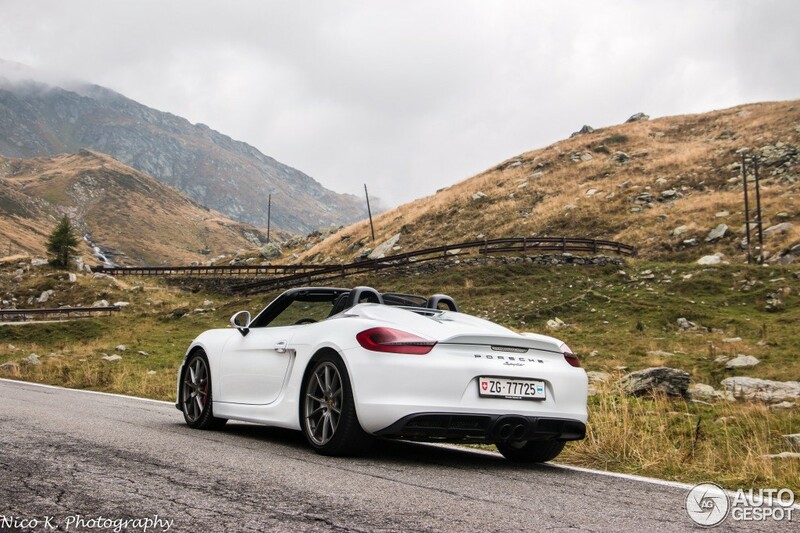 The photo session was provided by the guys from AutoGespot and is showing the gorgeous Porsche Boxster Spyder on the road, the model wearing the exquisite white paint and black interior. 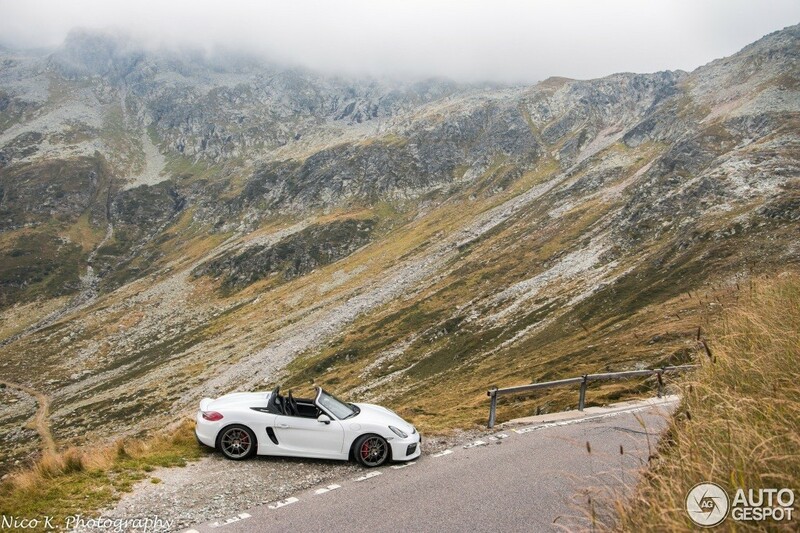 As a reminder, the Porsche Boxster Spyder came out in New York, last April, wearing a convertible body style and some features borrowed from other Porsche models, like the front and rear bumper from the Cayman 4, or the 911 Carrera braking system. 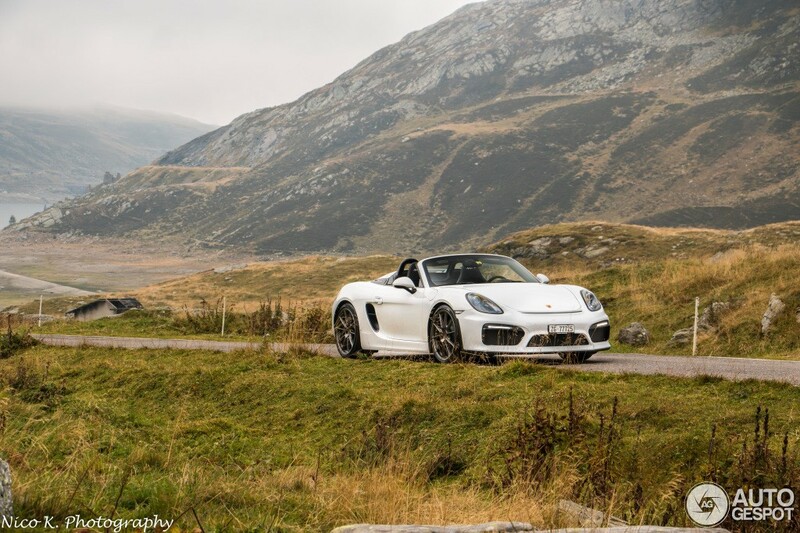 But apart the similarities with other Porsches, the Boxster Spyder is also featuring tweaks of its own, like the 20 mm lowered sports suspension system, or the fresh 360 mm in diameter steering wheel. 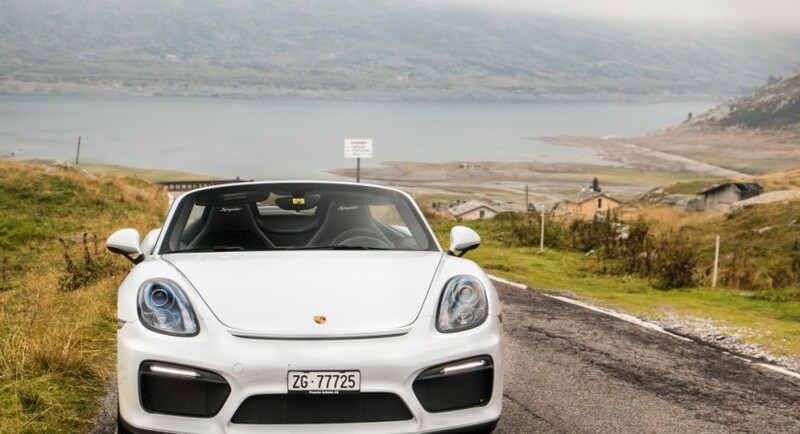 Under the hood, the Porsche Boxster Spyder is packing a 3.8-liter flat-six engine, with 375 horsepower, which makes it sprint from 0 to 100 km/h in just 4.5 seconds, at a topping of 290 km/h. 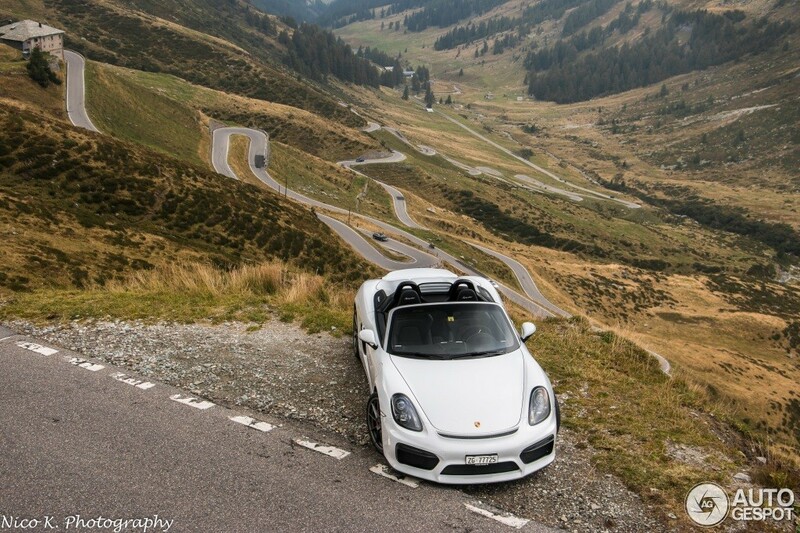 In the US, the model costs $82,100 while in Europe the new Boxster Spyder can be had from 79,945 euros.